In Japanese animation, background art is essential in constructing the foundations of the world of animation and to depict the feelings of characters at certain times. 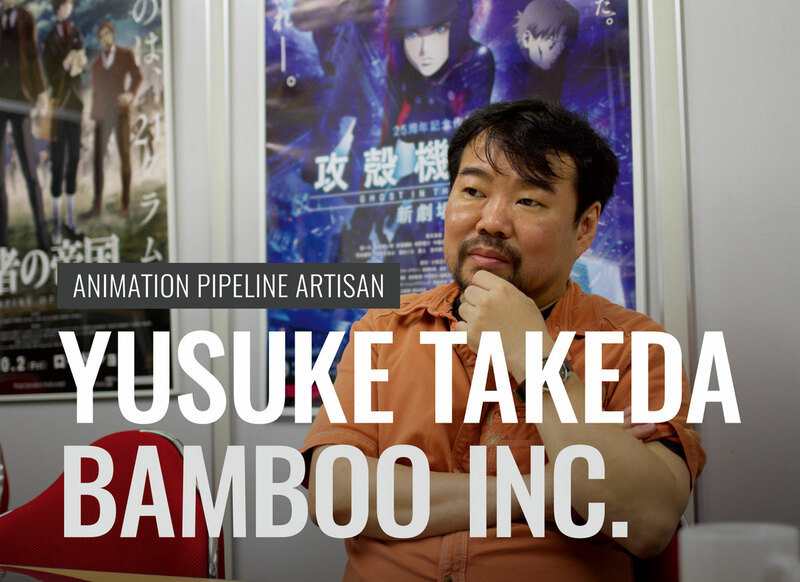 We talked with Yusuke Takeda, who contributed to the art of various projects, starting from Patlabor: The Movie (1989), BLOOD THE LAST VAMPIRE (2000), and Ghost in the Shell: Stand Alone Complex (2002), to recent work which includes Eden of the East (2009), Sword Art Online (2012), and The Eccentric Family (2013), with his excellent skills in drawing and expression. He shares, behind the scenes, the background art, the current situation of digital production, and the attractiveness of his work. Could you please tell us how did you decide to become a professional background animation artist? I loved drawing since my childhood. At that time, the only one Manga title that we have at home was Cyborg 009 in my father’s shelf. This is the first Manga that I took in my hand. Since reading it, I started collecting Manga by myself. It made me start thinking vaguely: “I want to have a job in drawing the visuals!” The only choice as a profession was animation. At first, I wanted to be an animator, not a background artist, and thus I went to school related to animation. But, I had a strong feeling that I wanted to draw using a brush, with color, rather than a line, so then I aspired to background art in animation. I started my career at a studio called “Mechaman” in Kokubunji, Tokyo. There, I learned how to draw on paper with paints, starting from the basics. Mechaman was the background art studio, which took part in projects such as Mobile Suit Gundam (1979) and Nausicaä of the Valley of the Wind (1984). After a while, I became a freelance background artist. About a year after I became a freelancer, I had the privilege to work for Patlabor: The Movie (1989), directed by Mamoru Oshii. I think it was about when I was 19 years old. Through the project of Patlabor: The Movie, I got along with two very talented background artists, Norihiro Hiraki and Tatsuya Kushida, who are close in the same generation as me. We naturally said things to each other like: “Let’s work together for the next project”, and “If we work together, then shall we establish our own studio?”, then we decided to found a background art studio named “Bihou”. I think it was around the year of 1998, which is about 5 years since the foundation of Bihou, when I experienced the transition from analog production to digital production in Japanese animation. After that, I left Bihou and started my own personal studio called “Bamboo”. We had a really big project, which was Ghost in the Shell: Stand Alone Complex – Solid State Society (2006) at that time, and decided to take that project with some colleagues from my time at Bihou. 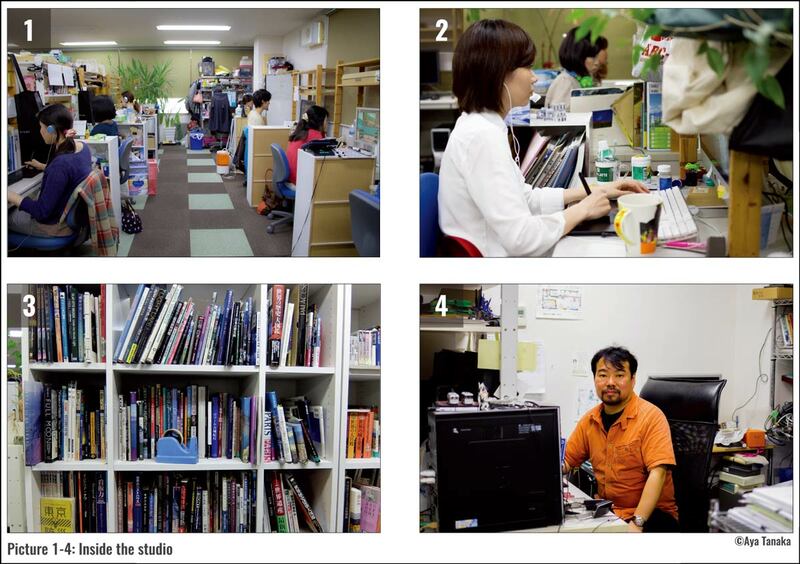 Then, we could say, “It seems like we can continue as a business” and “Let’s make it work as a studio”. Then, we incorporated it as Bamboo Inc.
Did you aim to specialize in the digital production of background art when you established the studio, Bamboo Inc.? There was no aim to focus on digital production, but more of an animation project to work on as a precondition to establish our studio. While getting involved in each project, we were gradually introduced to digital production. We fully moved to digital production from 2006 when we worked on Moribito: Guardian of the Spirit (2007). The production process during the transition time was a hybrid. We first drew background art with watercolor on paper, next we scan them in to create digital data, and then we processed them with Photoshop. Could you please tell us the projects that you have special personal attachments in, among the many projects that you took part in? 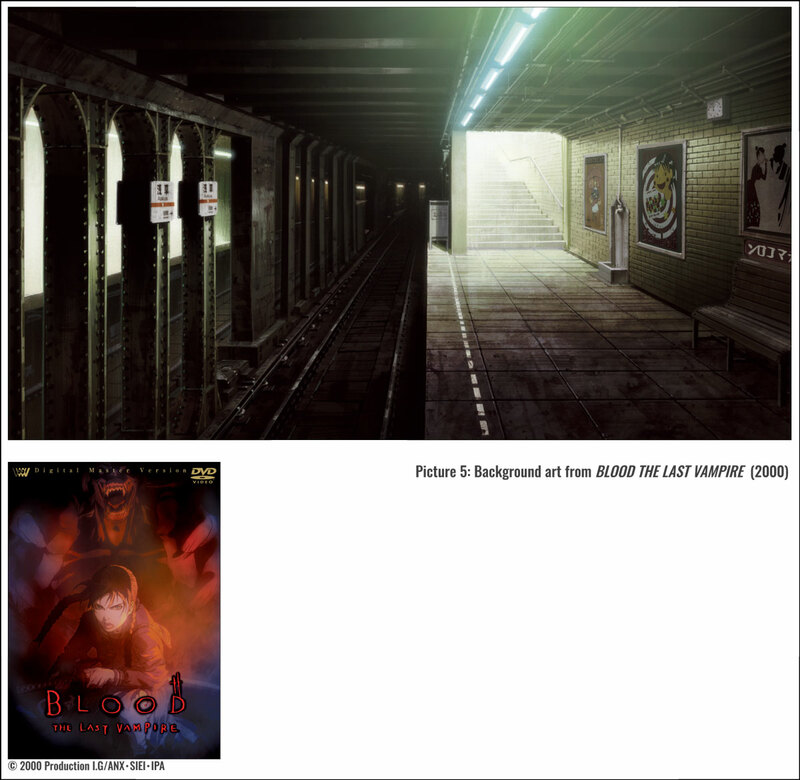 Each project has a lot of memories with me, but I would say BLOOD THE LAST VAMPIRE (2000). It is a 60 mins film directed by Hiroyuki Kitakubo. I think this is the first animated feature film for theatrical release that we challenged in full digital production. It was a very valuable and impressive experience. It was still the time when we did not have any know-how on digital production. For example, when we scanned background art, we could not display them on monitors with the color accuracy that we wanted, so we had to adjust the color cut one-by-one. It was so much during the predawn of digital production that we had a variety of issues such as finding the correct settings of scanners and monitors needed. Still, in such a time, we didn’t know what kinds of technical problems and troubles could occur when we started the project, which we had the courage to produce one feature film. I was lucky to be able to work for the project. There were some staff who had great experience in advanced digital production for visuals, so that we could have a thorough trial-and-error experience by learning a variety of things from them. The digital production skills I gained from that experience consists of the basics of my digital production of background art. I can say that thanks to the know-how, which I gained from that one project, I can still do my business. It is already something like 18 years ago.